A wedding reception is many a bride’s favorite part of the day. All of the stress of the actual ceremony is now behind and friends and family get to spend some quality time together celebrating the big day. 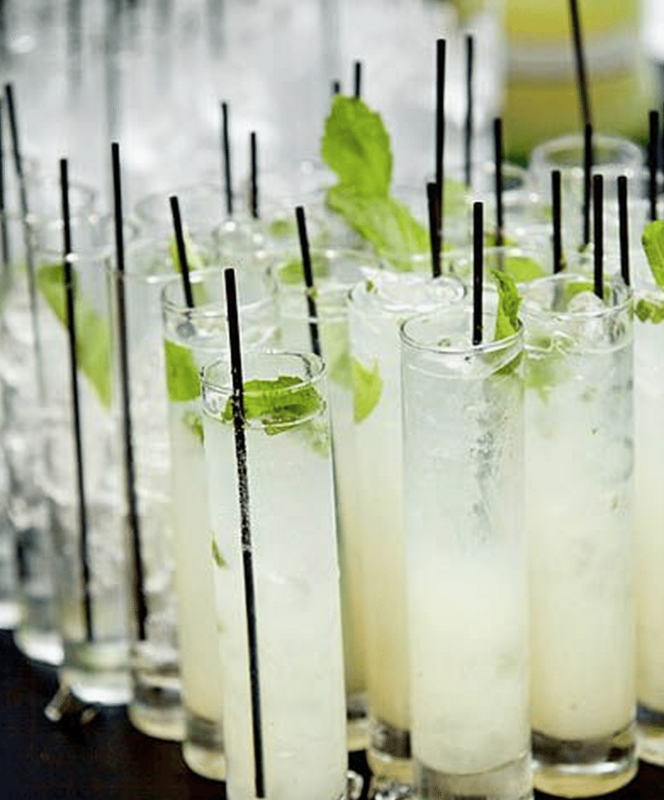 Here are a few ideas for planning a cocktail party wedding reception. A cocktail party is about finger foods, not a full meal. Make sure that you are clear with guests that a meal will not be served. Ask for guests to mention any food allergies or dietary restrictions in the RSVP. Some brides like to choose a theme for the reception. You might have all Asian food or just a smorgasbord of meats, cheeses, vegetables, and breads from around the world. Make sure you have actually sampled what is to be offered before agreeing to a catering contract. A hotel with a restaurant can be a great choice for a reception venue, because you don’t have to find a private caterer and might be eligible for discounts. Some may choose to have a full bar available, whereas other newlyweds may choose a signature drink. For a Caribbean themed cocktail party, you might use Bacardi Rum to mix up some of the following drinks. Be sure to check out Bacardi Cuba for more great drink ideas and inspiration. What type of music you choose to play is important, because it sets the mood for the whole party. If you plan on a lively dance party, then make sure you have a playlist of songs on an iPod or similar device that you can plug into a speaker system. Audio equipment can be rented fairly inexpensively. Hiring a DJ can help create a certain energy, or you may even have a friend that would DJ for you. Alternating between several types of music is pretty common at wedding receptions. If you want people to dress a certain way for atmosphere, then a small note stating the dress code should be a part of your invitation. “Cocktail attire requested” can be a good way to phrase it, or if you are going for a theme, you can state it on the invitation and ask guests to dress accordingly. Any special requests mean you need to send out your invites well in advance so that your friends and family have time to plan. If for some reason you are not comfortable with children at your reception, you need to make that clear well ahead of time. A classy cocktail party can be done with children, but many kids will find it tiring, especially if you don’t plan some activities for the kids to do while the adults socialize. Sometimes brides choose to have two receptions, one that is child friendly and another that is for the adults. Whatever you do, make sure you are clear on invitations to avoid a potential faux paus. Chances are you will want to get away well before your guests are ready to stop celebrating. Before the reception, make sure that those left in charge of the party are aware of all your wishes. Be ready for plenty of your loved ones and friends to bring up past moments and offer some toasts, usually during the cutting of the cake. This can take awhile, so plan the time. This is your special day, so why not make it a unique and memorable event? Consider the categories mentioned above carefully, but give each a personal twist and it will be a night to remember.